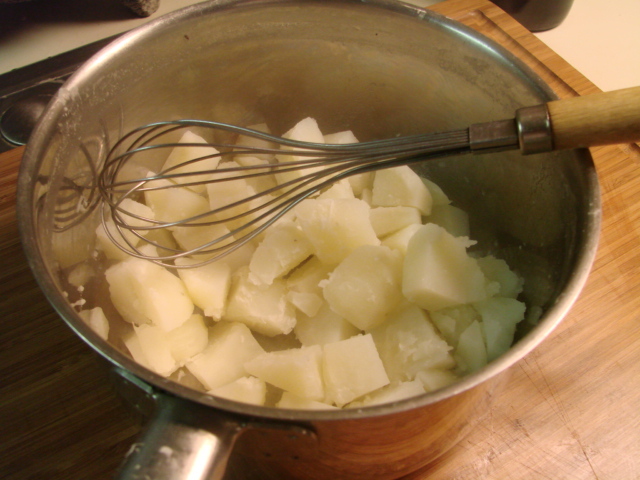 There has been a lot of discussion on recfoodcooking newsgroup about mashing potatoes. Too much discussion according to some people. The discussion was on the utensil used in mashing potatoes and if a wire whisk would work or not. Some say yes, others say no. Sooooo I had to see. Even though I've done something *this way* for years I'm up to new and different ways of doing the same ol' thing. 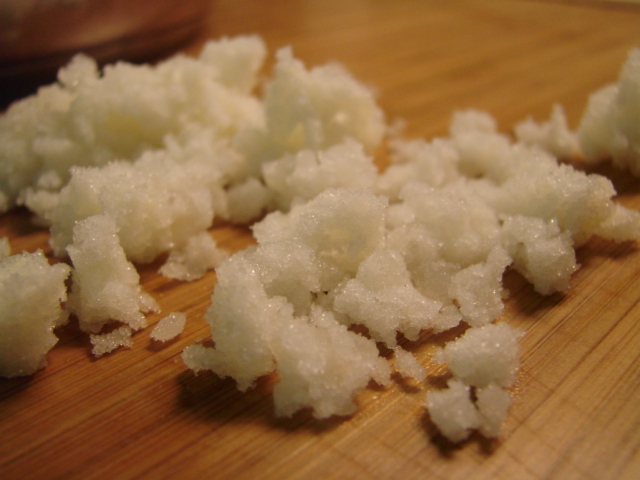 This experiment was done with three russet potatoes that I peeled and diced into chucks. This is what I normally do when mashing potatoes. Sometimes I leave the peeling on, most times not. 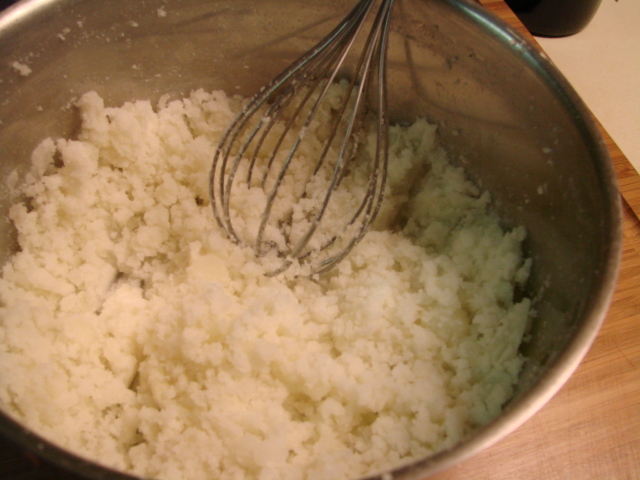 I typically leave the peeling on when I just boil them, then mash with a fork on my plate with a little butter. 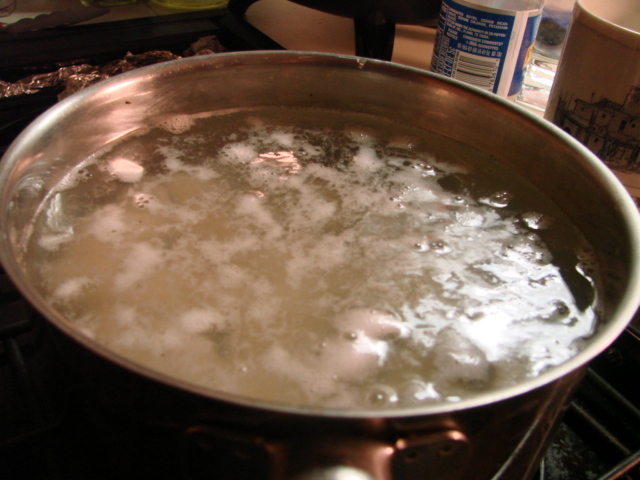 Peeled chunked potatoes boiling away. Drained the potatoes and put back in the saucepan they were boiled in. 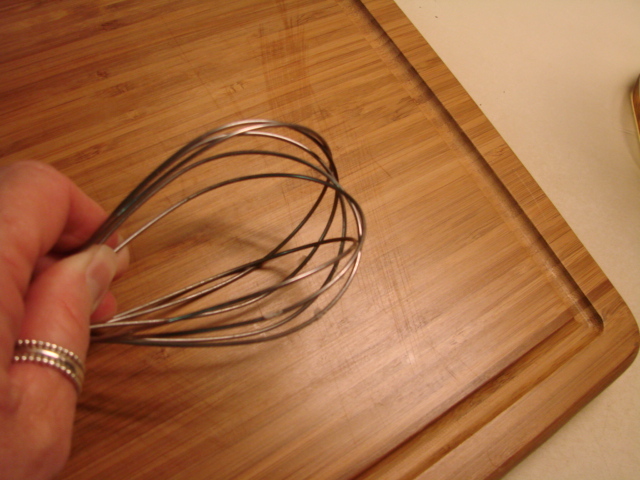 I used an old wire whisk that has flexible wires. It is not a sturdy firm whisk. I pounced (yes, pounce is a cooking term) the whisk straight up and down on top of the boiled potatoes. So far so good. They turned out so light and fluffy, they literally melt in your mouth. 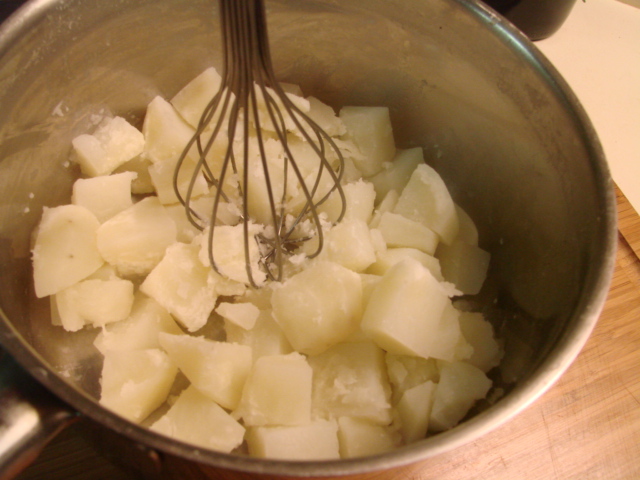 I see the difference between mashing potatoes with a potato masher which compacts the potato and "pouncing" them with a whisk which breaks them down and fluffs them.